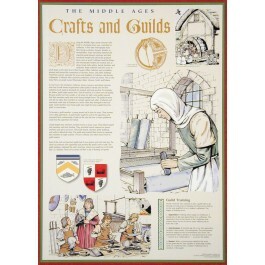 This original poster focuses one important aspect of the Middle Ages: Crafts and Guilds. During the Middle Ages, nearly everyone who lived in a European town was either a merchant or a craftsman. 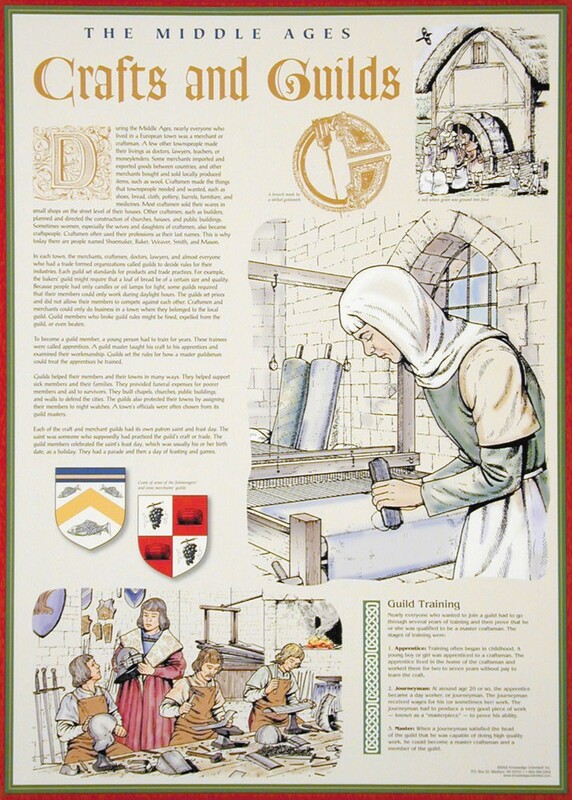 The text on this poster clearly explains how craft and merchant guilds provided important structure to the European economy and society of the Middle Ages. The poster also contains a small section that outlines the stages of guild training from apprentice to master.